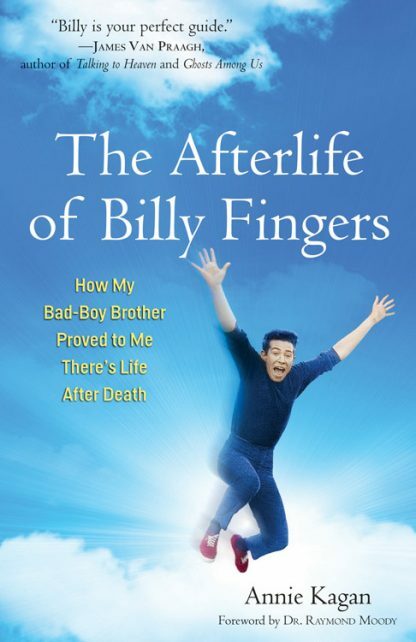 In The Afterlife of Billy Fingers: How My Bad-Boy Brother Proved to Me There�s Life After Death, Kagan shares the extraordinary story of her after death communications (ADC) with her brother Billy, who began speaking to her just weeks after his unexpected death. One of the most detailed and profound ADC�s ever recorded, Kagan�s book takes the reader beyond the near-death experience. Billy�s vivid, real-time account of his on-going journey through the mysteries of death will change the way you think about life. Death and your place in the Universe. In his foreword, Dr. Raymond Moody, author of Life after Life, explains the phenomena of walkers between the worlds, known to us since ancient times, and says that Dr. Kagan�s thought-provoking account is an excellent example.